Working the road nonstop since his 21st birthday, Dave Landau has grown into a true comedic juggernaut. Finding himself much in-demand among audiences and club owners due to his deadpan demeanor and those jokes — my God, those jokes — that fluidly fly forth with breakneck pacing and perfect timing. Dave, it can be said with all due respect, is a throwback to another era of comedy. The entertaining everyman. Innocent enough at first blush; as he states his case, you begin to see where you and he have quite a bit in common. A wife, a house. An odd sense of calm in an increasingly crazy world. You're on a tour of the familiar and prosaic, with Dave Landau as the bus driver. Then he drops his foot on the accelerator. And things start to get wild. You see, Dave Landau might appear to be just like you, but he's not really. His mind goes to places that angels would fear to tread, and he has no problem telling you about it. The mark of a great comedian, it is said, is the ability to find jokes where others would find tears. Dave find jokes everywhere; with his own foibles and faults, to his family, to pop culture and the state of the world today. Cutting his comedic teeth as a teenager in Detroit in the Second City's Conservatory, Dave Landau has risen to become one of the most in-demand headliners working today. He's appeared on Comedy Central's "Live At Gotham" and was a finalist on season 8 of "Last Comic Standing." 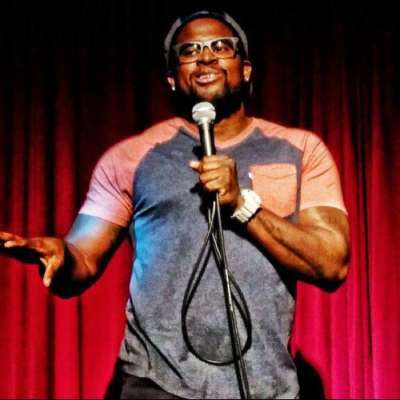 He's become a regular on the nationally-syndicated "Bob & Tom" radio show, and was honored as one of the top 21 club comics of today at HBO's Las Vegas Comedy Festival.